At All About Lifting & Safety, we draw on our combined 80 years of experience and knowledge to source and stock the highest-quality clamps and girder trolleys. You have probably seen a lot of girder trolleys and clamps on the market and are wondering how to pick the right equipment. 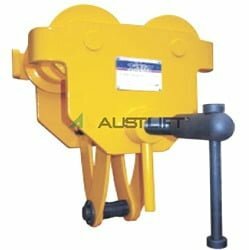 As Australia’s leading source of heavy lifting equipment, we can guarantee you our experts will guide you through choosing the perfect clamp for your lifting needs, saving you time and money down the road. 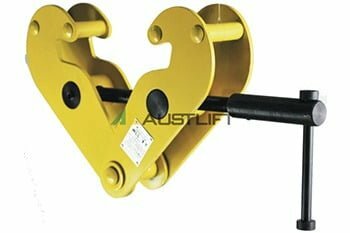 Lifting clamps work like teeth biting down on the heavy piece of equipment and holding onto it while it is lifted either horizontally or vertical. At All About Lifting & Safety, we stock a wide range of high-quality clamps that can cater to vertical, horizontal or multi-directional lifting. What About Other Suppliers of Girder Trolleys and Clamps? Your first instinct when it comes to buying girder trolleys and clamps might be to look at the cheapest stockists you can find. But have you checked out other high quality suppliers? 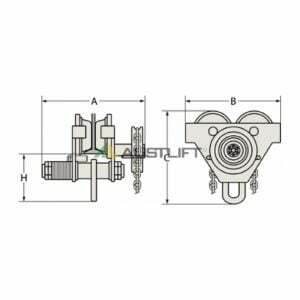 All About Lifting & Safety offer more than you will get from other suppliers. We offer valuable advice and experience in heavy lifting, girder trolleys and clamps. Clamp strength. 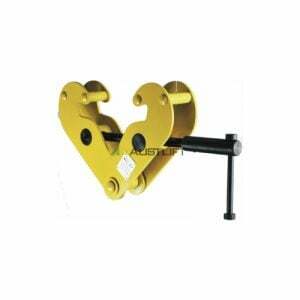 Make sure when choosing a lifting clamp that it has the capacity to suit your lifting needs. Safe working load. When using a lifting clamp (or any heavy lifting equipment) you should never exceed the safe working load of the equipment to prevent injury or damage to the equipment. Check it. 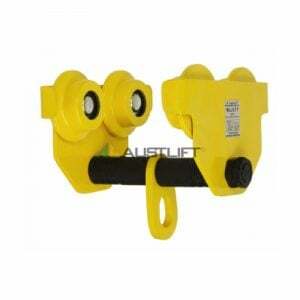 You should visually inspect your lifting clamp before you begin using it to check for signs of damage. Clean surfaces. Make sure the surface of the item you’re lifting and the clamp are clean, dry and free of oils, etc. If it’s not, there will be less friction and the lifting action may fail. Rather than choosing girder trolleys and clamps from other stockists, go with Australia’s leading heavy lifting experts – All About Lifting & Safety! We are ready to go the extra mile with all of your lifting and safety equipment needs.